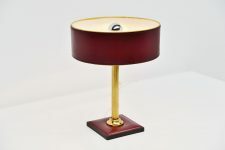 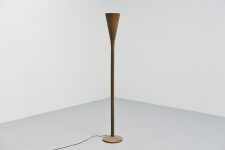 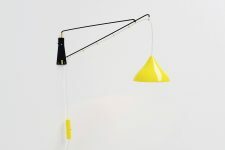 Very nice balance wall lamp by Cosack leuchten, Germany 1960. 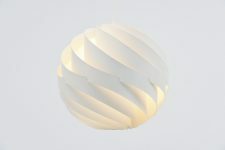 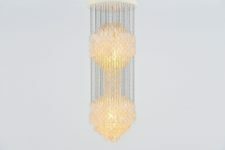 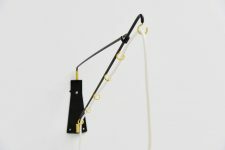 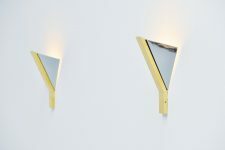 This is a very nice and ingenious wall lamp made and designed by Cosack. 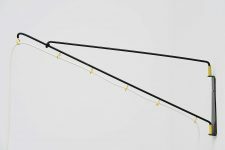 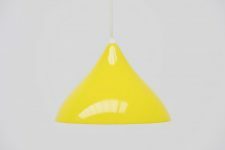 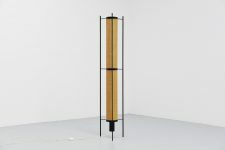 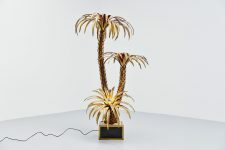 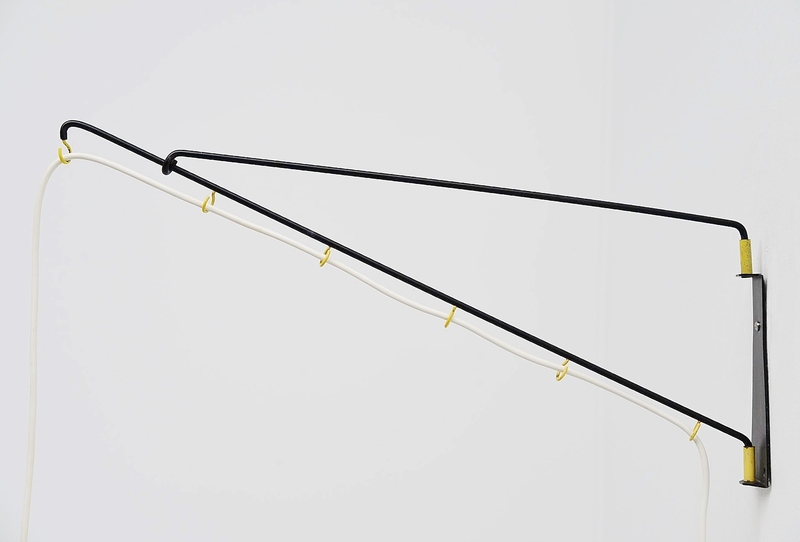 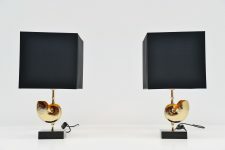 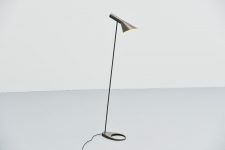 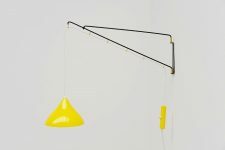 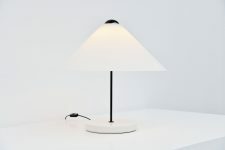 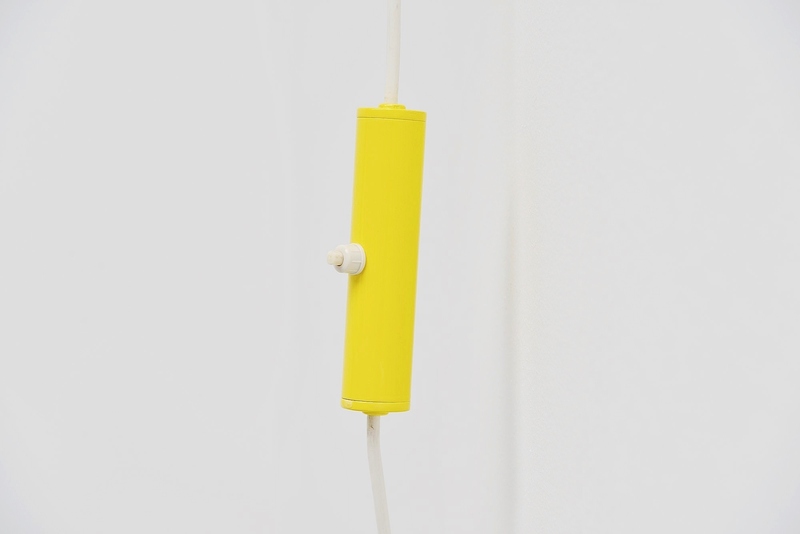 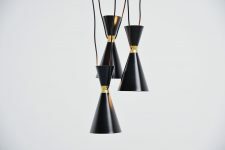 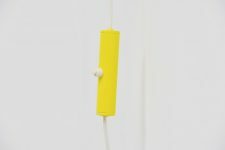 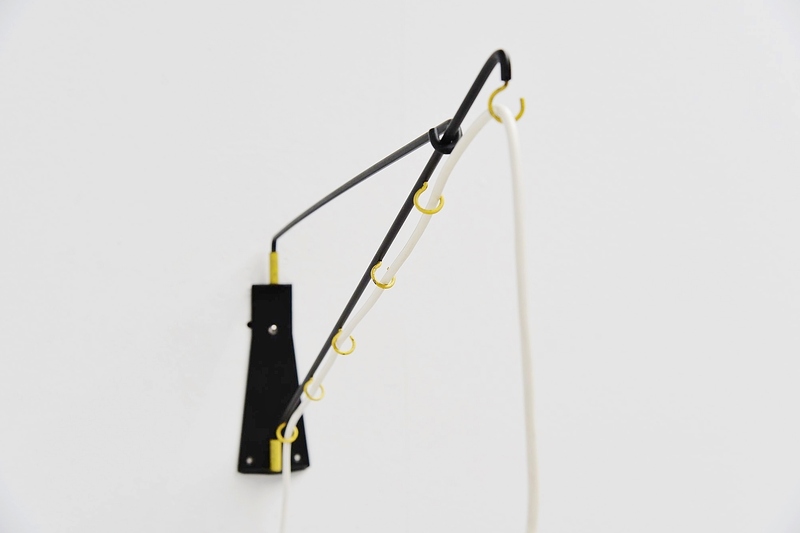 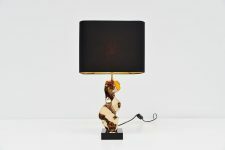 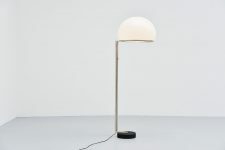 The lamp has a wall arm with several hooks, yellow lacquered, so the shade can be hung in different positions, or the balance weight. 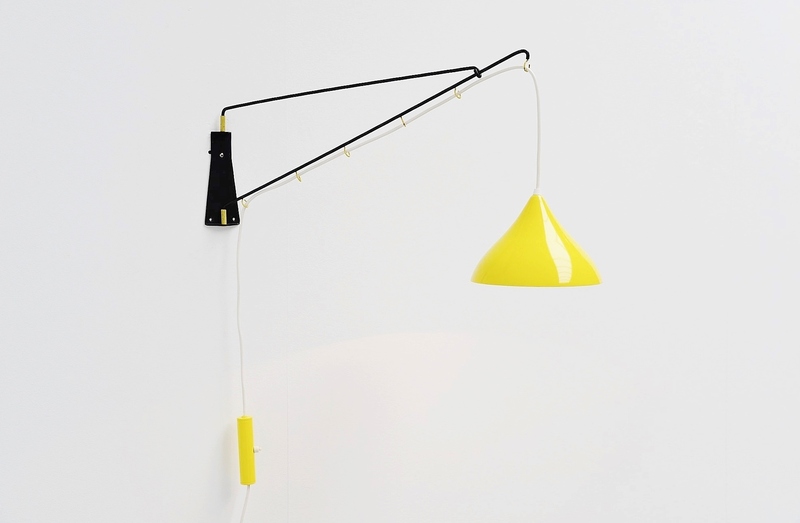 The shade and weight are refinished in original yellow color and look amazing. 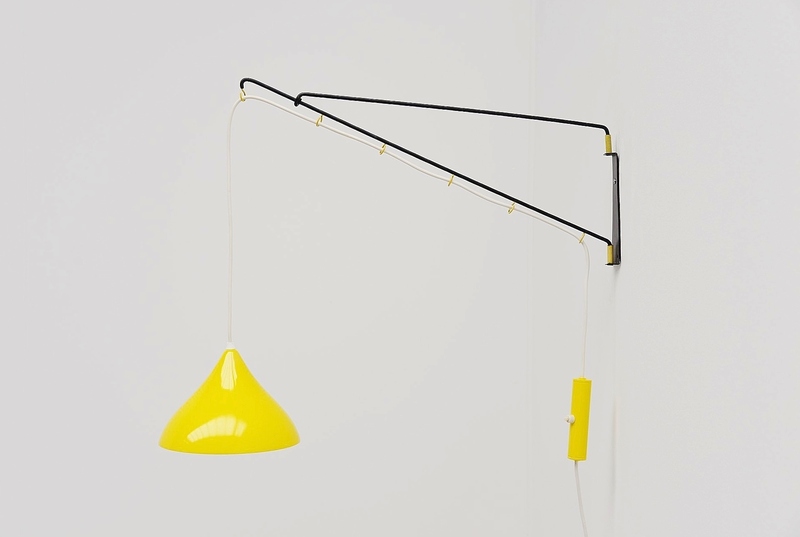 Completely checked and functional. 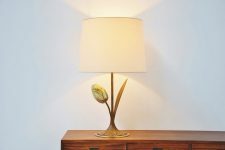 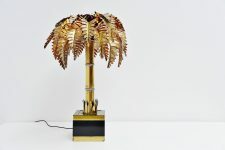 Highly decorative lamp.